When you play golf, countless things can go wrong from a technical perspective through each swing or stroke. It takes practice and dedication to improve from a playing perspective and it won’t happen overnight. Something, however, that most amateurs could improve on (without spending hours on the range) is their strategic approach. Almost every amateur golfer could save shots by employing a more sensible and effective on-course strategy. We look at five key strategy tips for amateur golfers. 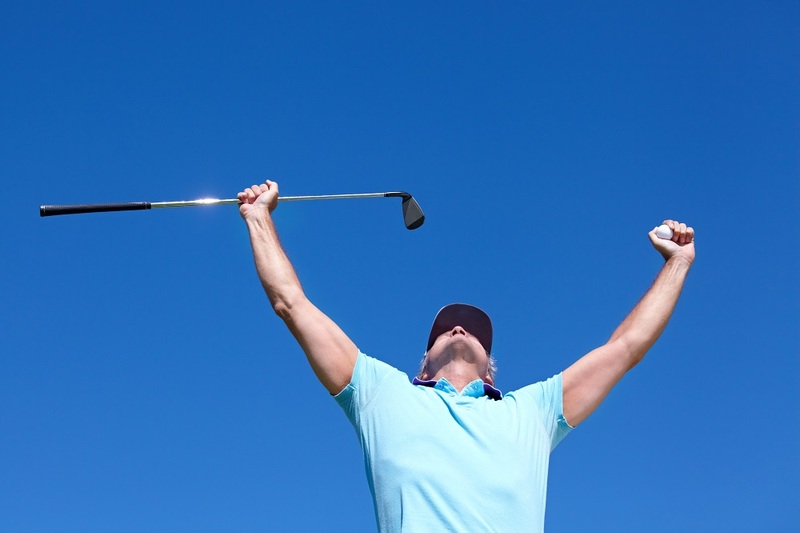 Almost all amateur golfers think they can hit the ball further than they do. Yes, you once hit a nine-iron 150 yards, but that was perfectly struck, downwind onto firm ground. Most of us will not strike the ball out of the middle each time and, as a result, will lose a little distance. If you are at max distance for a club, you are also likely to swing too hard at the ball and lose control. Generally, you are far better off to take a little more club, swing easy and allow for a small mis-hit. The odd mis-hit will end up through the back but, on average, you’ll find your ball closer to the pin. Don’t be proud – it doesn’t matter what club you use. If you get it close to the flag, it’s a good shot. Many amateur players will hit driver on every par-4 and par-5 without even considering what’s in front of them. But often, driver is not the most appropriate club from the tee. The hole may dog-leg at your driver distance, the fairway might pinch in at that distance or bunkers could come into play. Sometimes, on a shorter par-4, you’re better off being a little further back to hit a full shot in. Look at each hole and consider where you want to hit your second shot from – if driver is not the correct club to get you to that position, don’t hit it! Also, if your timing is a little off, it will always be exposed by the driver. The further the ball goes, the further it will travel off line if misdirected. Sometimes, you’re far better off being a little further back in play than well up but in trouble. Watching elite golf, the skill of the top players around the greens is astounding. They can throw the ball up high from a variety of lies and get it to land softly, and to check up neatly when required. But this skill with lofted clubs is partly acquired through God-given talent and partly acquired through exceptionally hard work. You may not have that gift and almost certainly haven’t put in the graft to master the shots. Most amateurs will benefit from playing a lower, running shot around the greens. There’s far less that can go wrong and it will produce far more consistent results. If you’re on short grass with nothing between you and the pin, maybe even opt for the putter. If there’s some longer grass to cover, go for the chip and run. Most amateurs select the sticks they carry according to what convention dictates rather than what will help them play to their strengths. If you can’t and won’t hit your woods, why would you carry three of them round with you? If you’re not comfortable with long irons, ditch them. You have 14 clubs to play with, so make sure that you would be comfortable using all 14 in your bag. Many amateurs think they can extricate their ball from even the most desperate position and they get themselves into far more trouble by attempting to do it. If your ball is lodged in the base of a bush, why try and blast it out? Take a penalty drop, accept your punishment and move on. If there’s a gap in the trees in front of you that you’d struggle to even walk through, don’t go for it – chip out sideways and live to fight another day. Going for the impossible shot will almost invariably end in disaster and, possibly, the end of your round. Take your medicine!